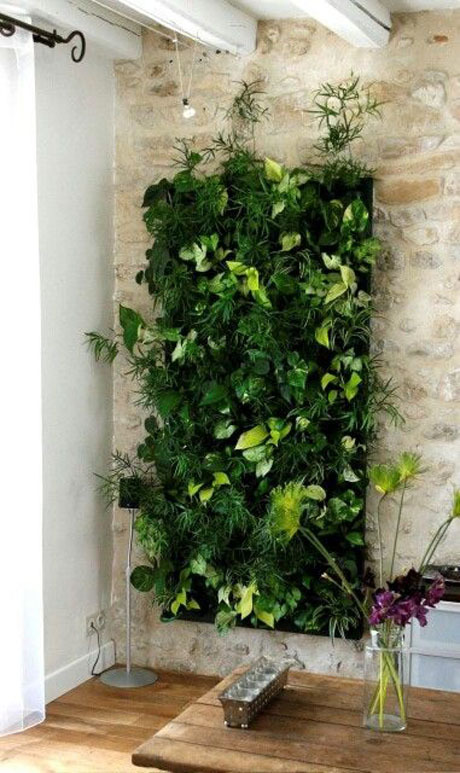 How cool are these vertical gardens? 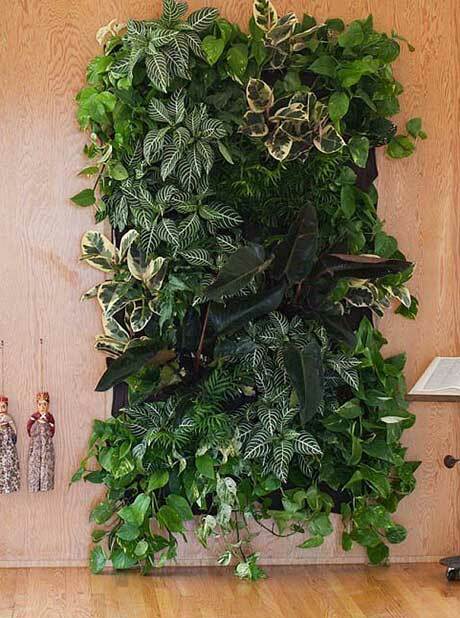 I’ve recently set up my own vertical garden using these felt-like pocket gardens. You can plant anything you like in them – herbs, strawberries, flowering annuals or leafy plants. I love them so much, I’m now selling them in my online shop (click through here). It’s a fantastic way to brighten up a dull wall, and the fabric is durable, corrosion resistant, breathable, and allows water to be absorbed. Find out more here. What are the dimensions of these vertical pockets? Thank you for the prompt reply! Have ordered some now. I’m thinking of using these to soften the look of a stark fence which is in full sun. 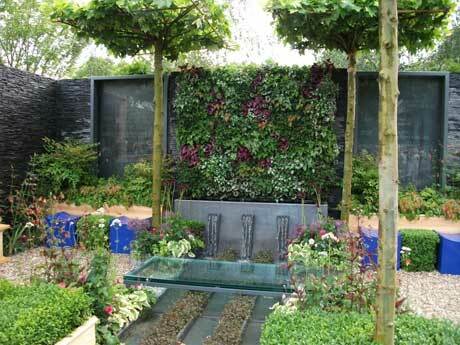 Can you give a few suggestions for suitable low growing plants for different times of the year. Love the lush greens in your photo but I guess that’s situated inside or in sheltered shade. Jill. Hi Jill. If you like herbs, you could try basil, sage, sorrel, etc. There are succulents, too, lamb’s ear, dianthus and petunia for a bit of colour, geraniums for their leaves and flowers, and coleus for bright coloured leaves. You could also try lady’s mantel. There are also some ferns that tolerate full sun, but you would be best to check out a specific fern nursery for those. It might be a good idea to take a wander around your local garden centre too to get some more ideas.